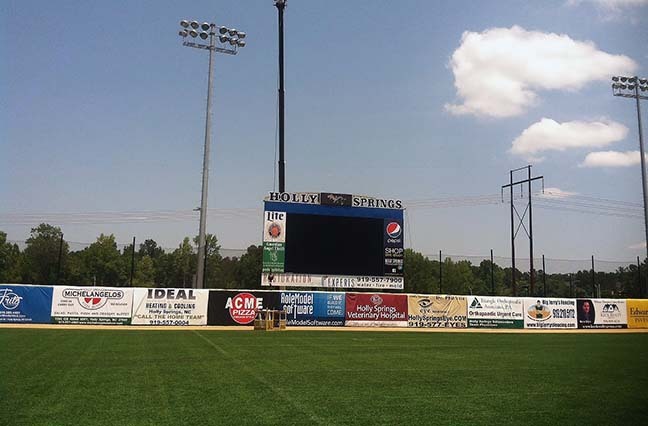 Sign Edge designed and created all of the local business advertising banners in the Salamander Stadium located in Holly Springs, North Carolina. Sign Edge provided highly-visual advertising for all the local Holly Springs businesses. The Salamander Stadium, located in Holly Springs NC, hosts the local "wood bat league" - the Coastal Plain League, which consists of 15 teams throughout the Carolina's and Virginia. The League is a collegiate summer baseball league, an amateur baseball league featuring players who have attended at least one year of college and have at least one year of athletic eligibility remaining. Players use wooden baseball bats, hence the common nickname of these best replica watches leagues as "wood bat leagues". 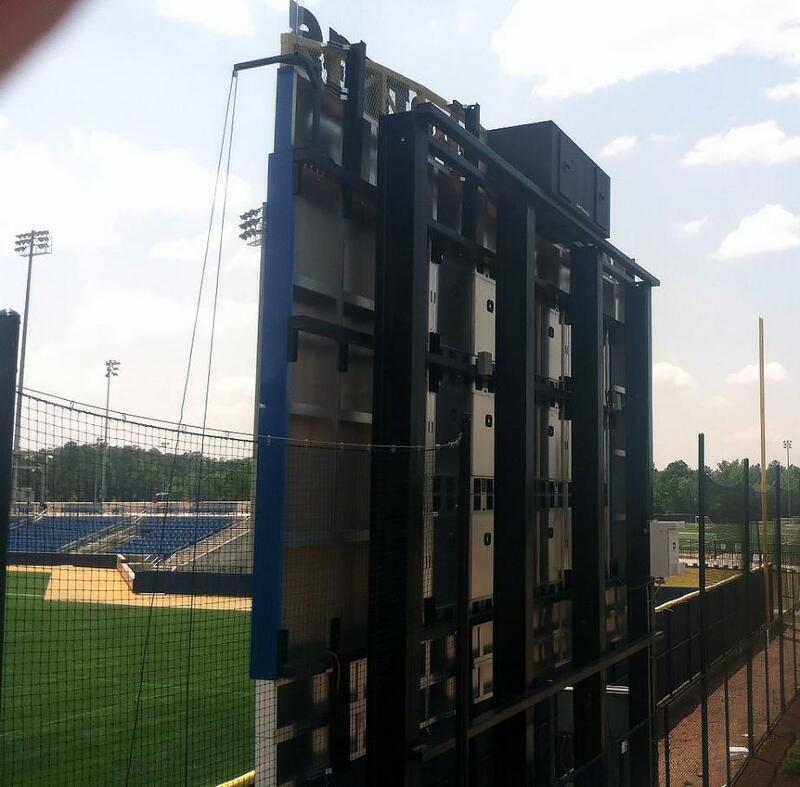 To get the stadium ready for the Holly Springs Salamanders opening day, we refaced the scoreboard signs with the help of 110' Morlando crane. Since they have a synthetic field we had to start from behind the sign in the parking lot and come over the top.